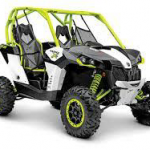 Recommended for units upgraded with large tires or carrying extra weight (such as 4 seaters) Corrects inferior single-chain manufacturer product which is stressed under load in reverse. 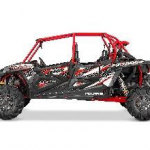 Recommended to correct performance to stock when upgrading to larger tires or bearing extra weight, such as 4-seaters. Warranty: Manufacturer’s 1-year warranty on defective parts purchased if installed professionally and receipt of installation provided. No warranty on labour or damage to companion or engine components. Some conditions apply. 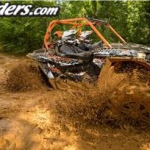 The manufacturer’s single reverse chain has shown a tendency to break when in reverse under load, especially with larger tires. 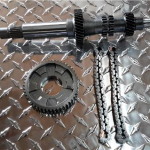 Our Double Reverse Chain upgrade kit is a proactive solution to replace the weaker chain and help prevent the extensive damage to the shaft and gearbox which may occur at the time the chain breaks. The NCKRG002 can save you the headache of $3000 to $4000 in future repairs. Our Reduction Gear upgrade kit resolves the issue of under-drive loss of power when installing tires larger than factory stock. 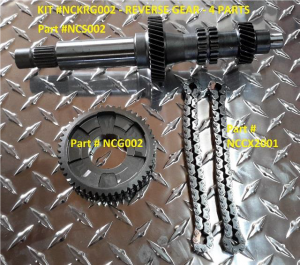 The NCKRG001 product returns approximately 30% of the gear-ratio back to factory performance. Replacing both parts at the same time offers optimal performance with only one bench fee and protects the companion components.